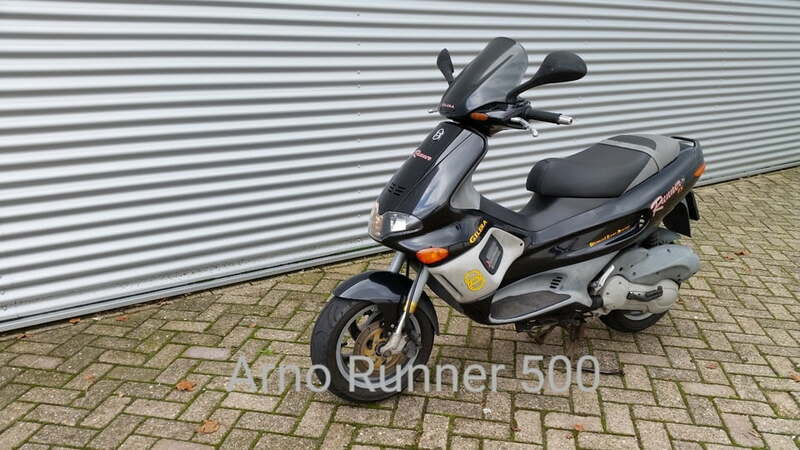 Modern Vespa : Gilera Runner 500cc. 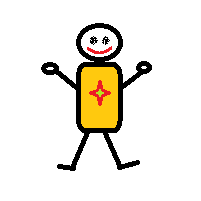 Hello, my name is Arno. 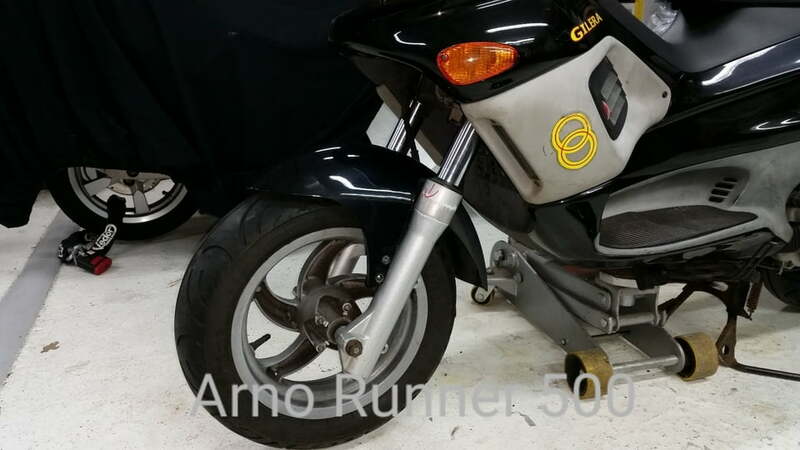 When i was 16 years old, i baught myself a Gilera Runner 50cc. I modified the engine, and drove it for years with great fun. I sold it when i was 18, and baught a car. 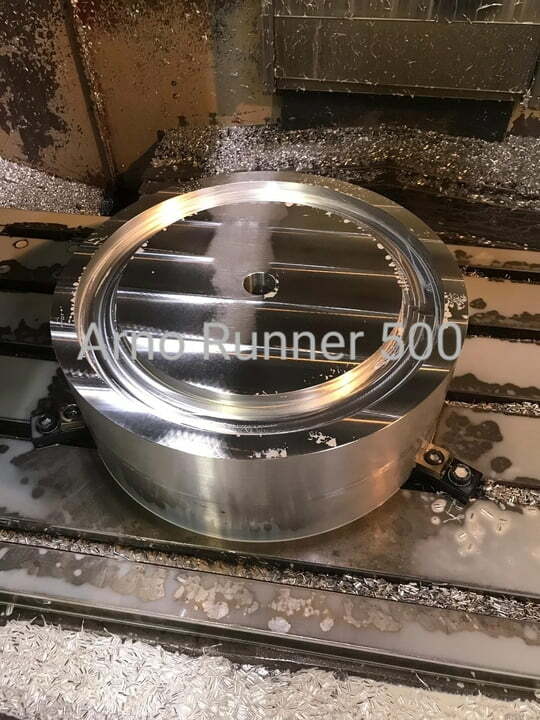 I alway's liked the Runner, so i started to look for one to buy. 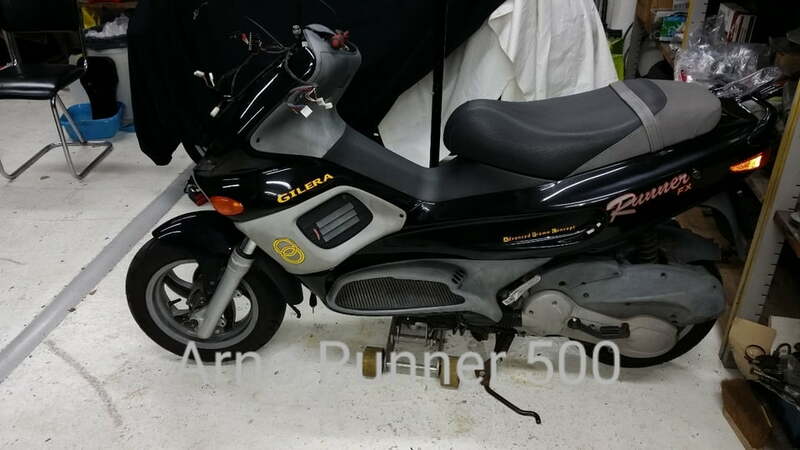 So 13 years later, i baught myself a 125cc Gilera Runner in Germany. 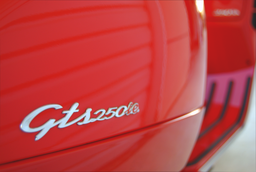 Imported it, and drove it for 2 years. 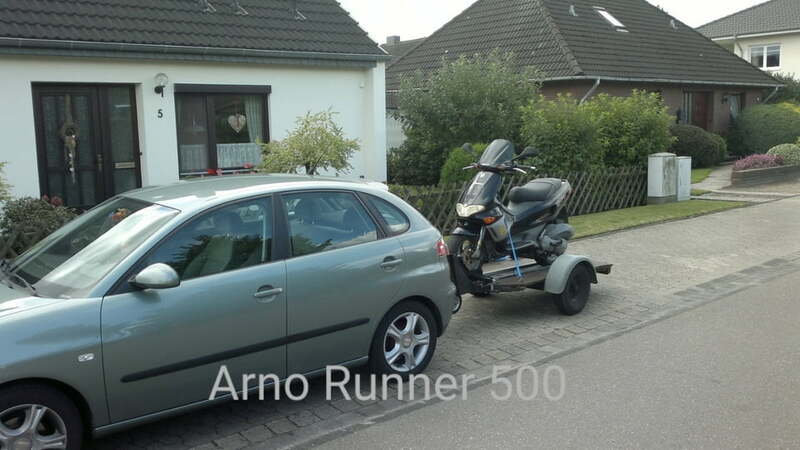 Since 2 years i took it appart to modify it to a 500cc. 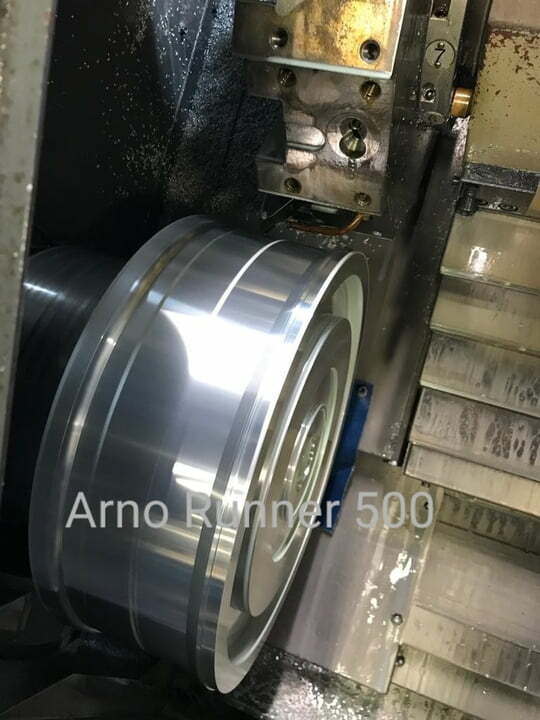 I want to build it like it was build from the factory this way. 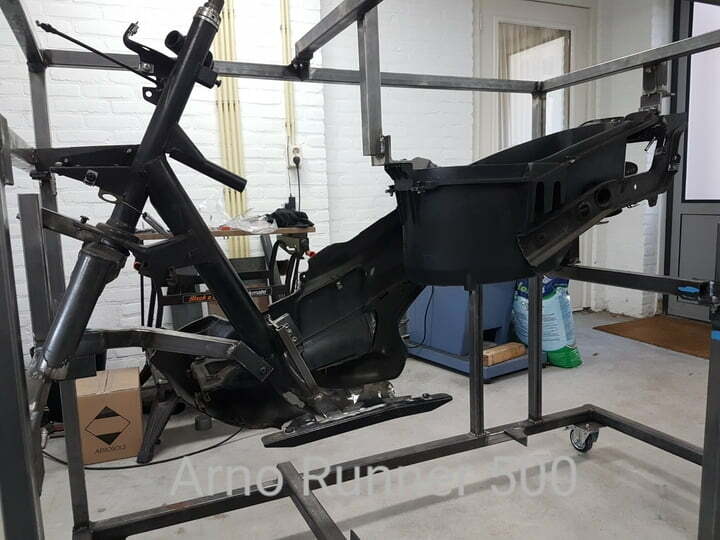 First some pictures how i baught it, and how it looked in the 2 years of driving on the Dutch roads. 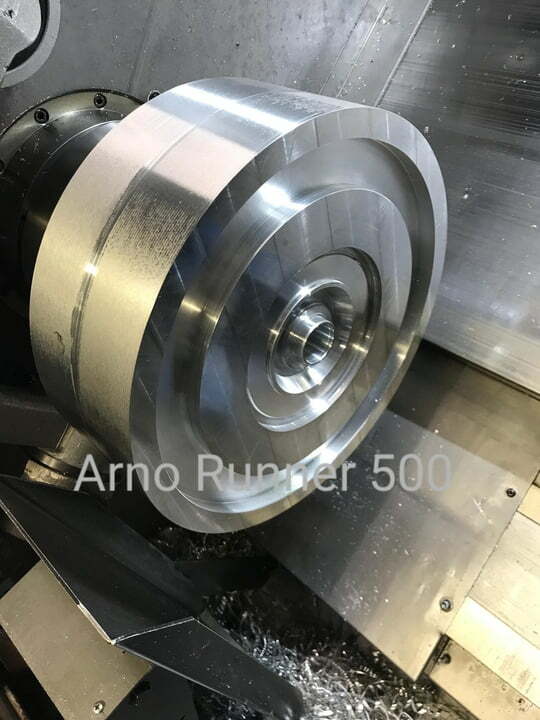 I am collecting parts for it for a while. And testing how things will look, and fit. 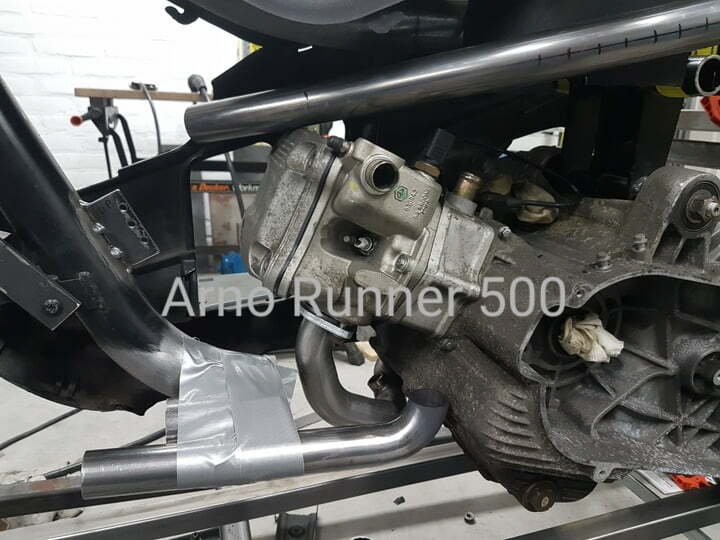 Piaggio X9 500 460cc Master engine. 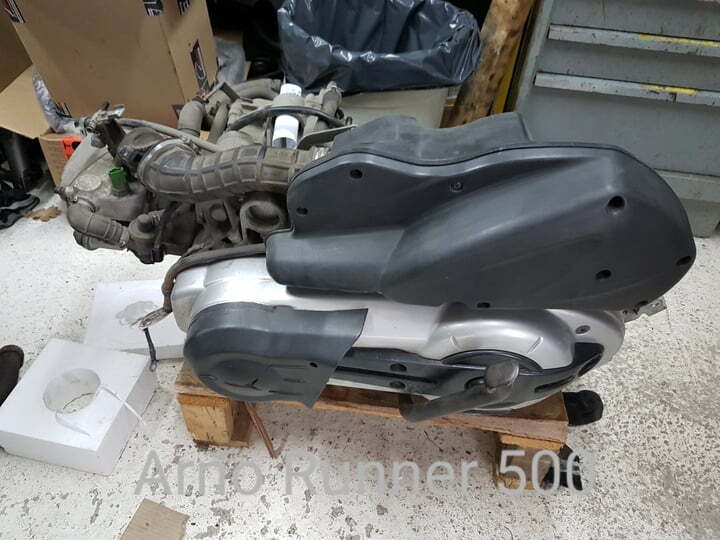 Gilera Fuoco 500 493cc Twinspark Master engine. 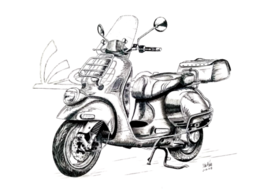 For the front fork i will use the fork of a Piaggio Beverly 500. I testfitted it here with the 12 inch wheel. 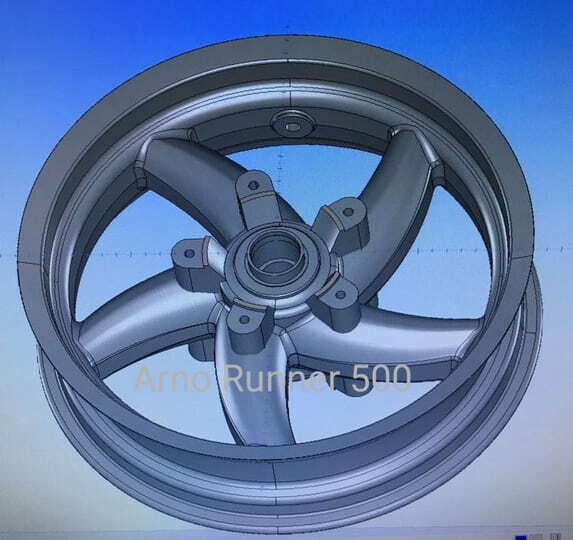 This is to small in my oppinion, so made a mockup with a 13 inch rear wheel. 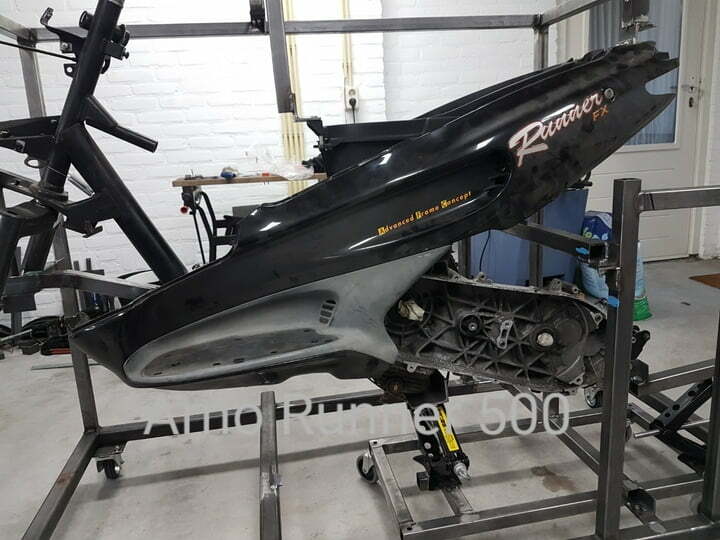 This looks mutch better, and has more space for the dual disk brake system. 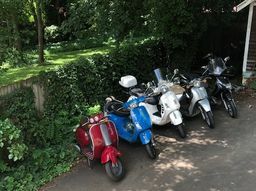 I want to have 2 brake disks at the front, just like the X9 and the Beverly have. This looks nice, and stops realy well. 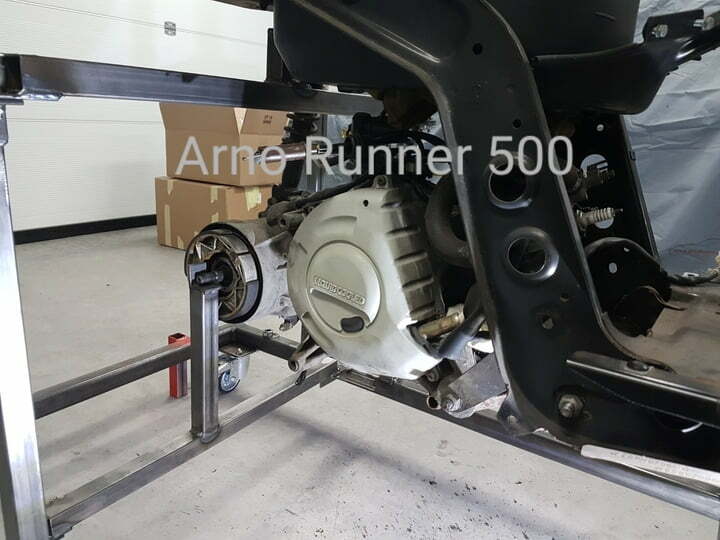 There is no wheel that looks like the original wheel of a Runner with the mounting brackets for 2 disk brakes. 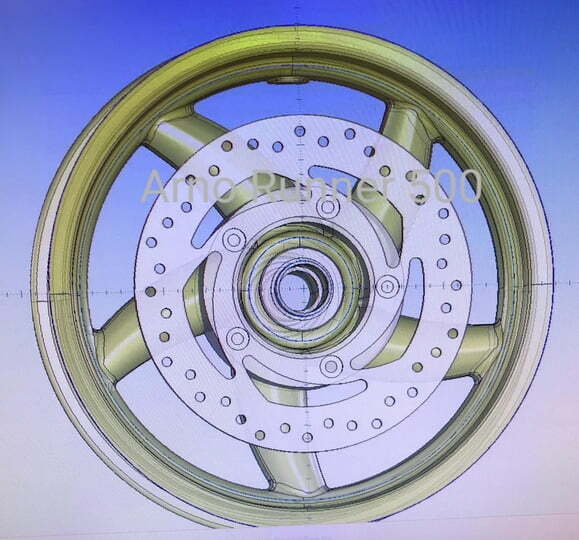 So the front wheel will be costum made. For brake disks i want to use the 240 disks. 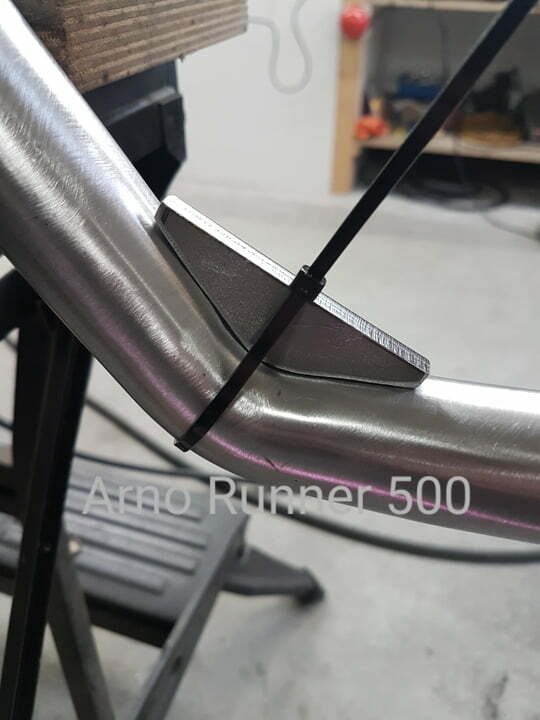 To use the Piaggio Beverly 500 front fork, a new steering tube is made. 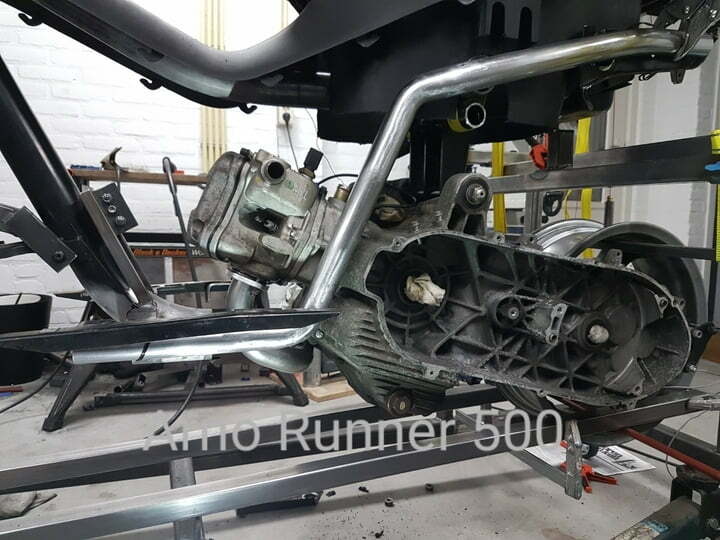 The 500cc Master engine will never fit the original Runner frame. 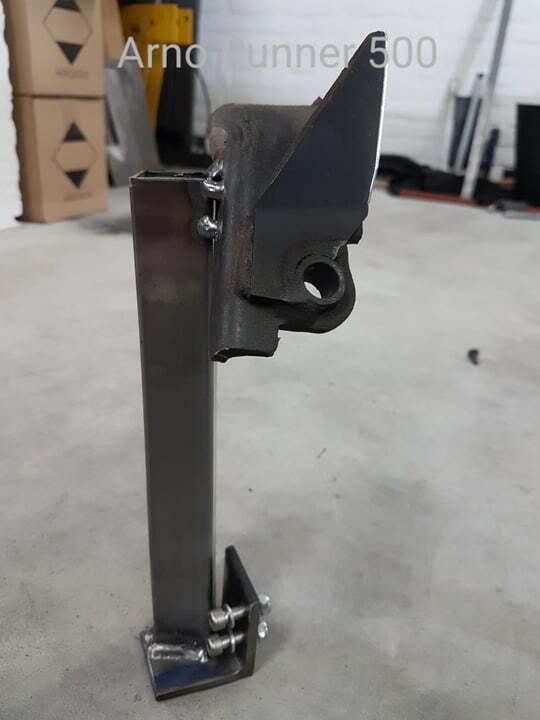 So a big part of the frame needs to be changed. 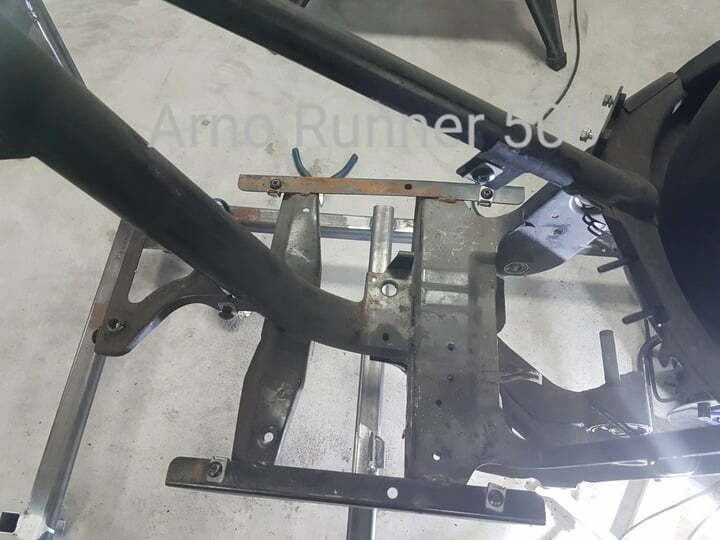 So i made a frame around the Runner frame, to attach the points where the fairings have to be attached. And to keep the front section, and the rear section exact in line. i can take sections out, and bolt them back on. 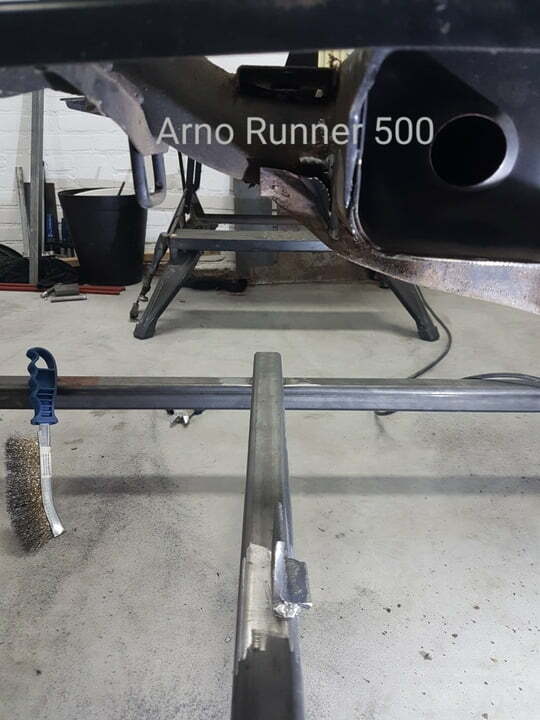 And when all things fit correct, i can weld it back together. 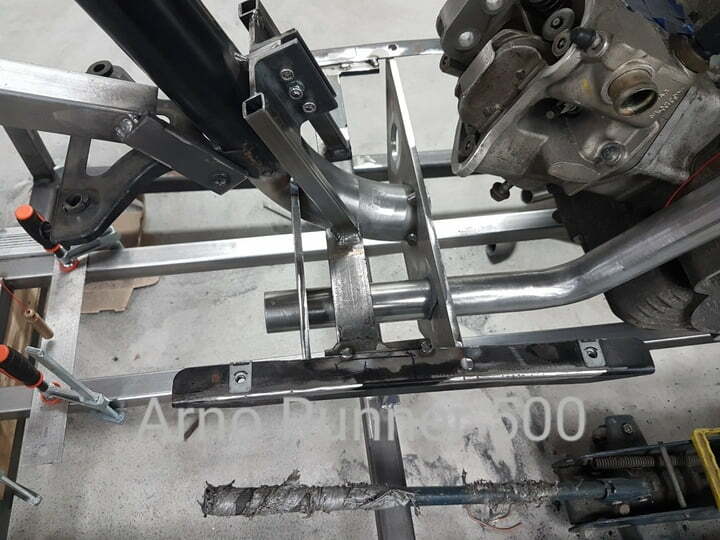 Here you see the braked to remove, and later reinstall the side stand. And made the brackets to remove the footboard. 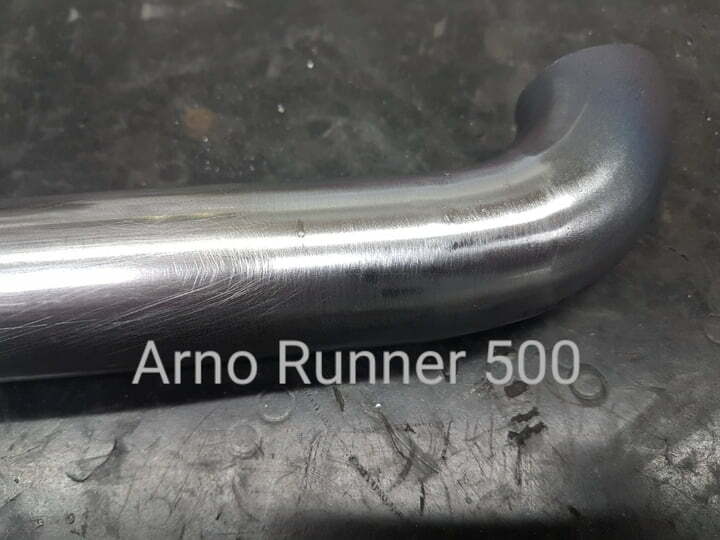 These are important to place back when the welding of the new frame starts. 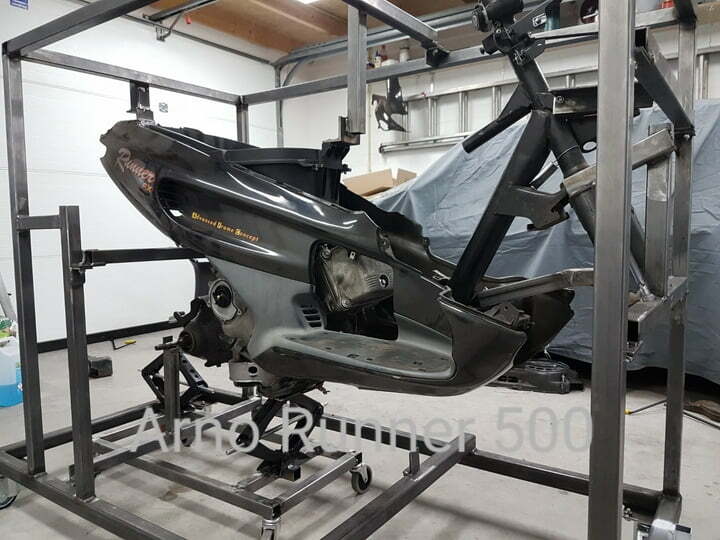 When these are in place, i can put the fairings back on to measure several points. 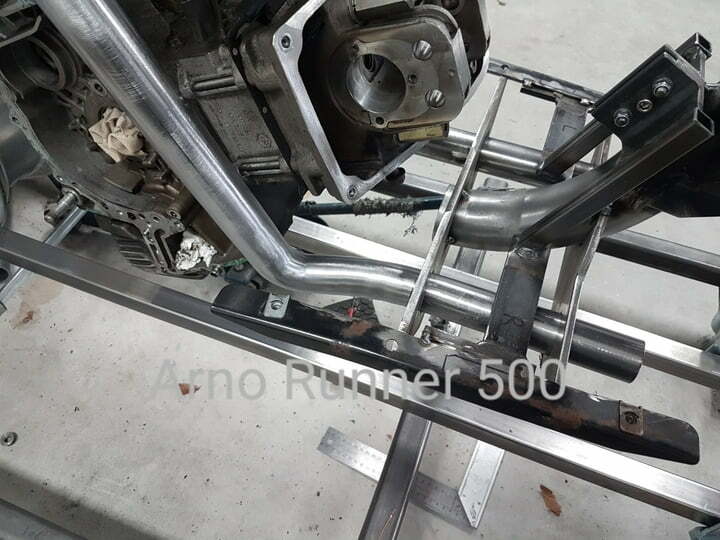 Installed the 125cc 2 stroke engine in the Runner frame for the last time. 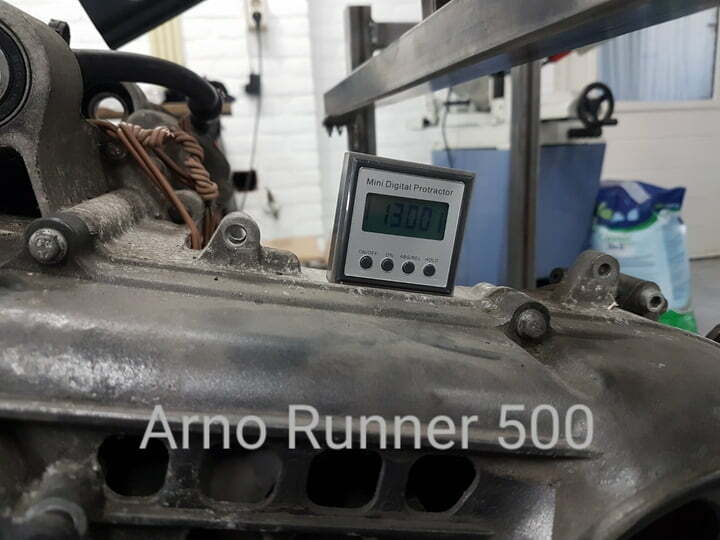 This was to measure the engine angle when it is installed. 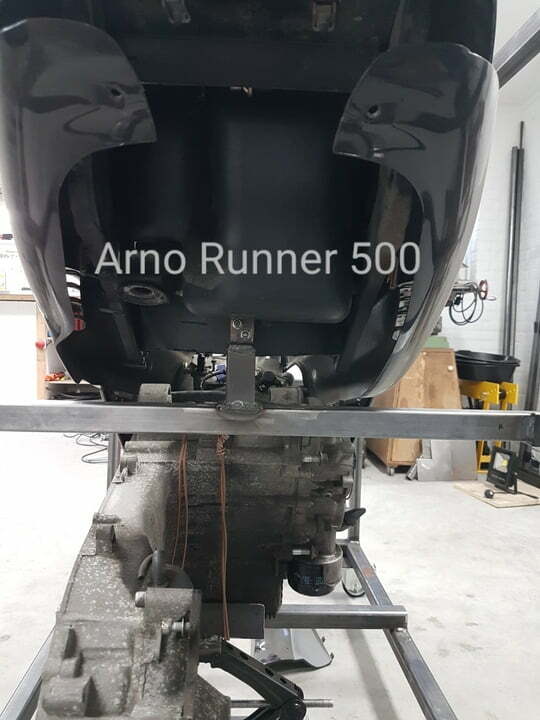 The plan is to install the new engine in the same angle if this is possible. Also made a bracked to fix the original wheelbase an wheel hight. I'm confused. 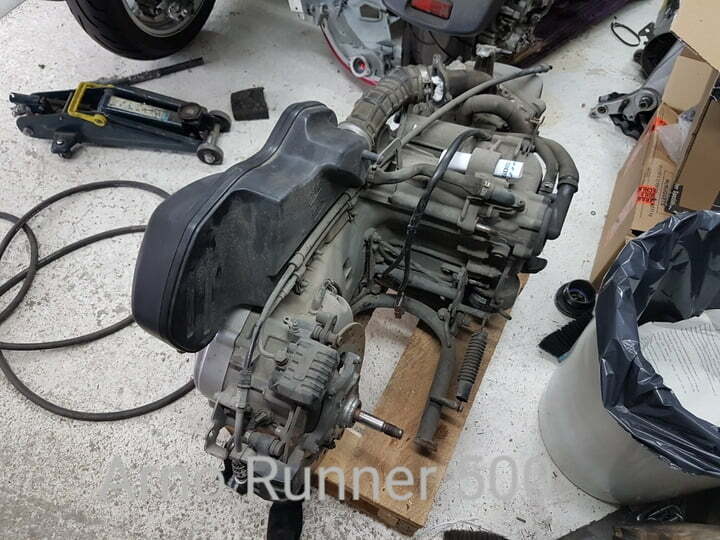 Are you installing a 125cc engine or 500cc engine? 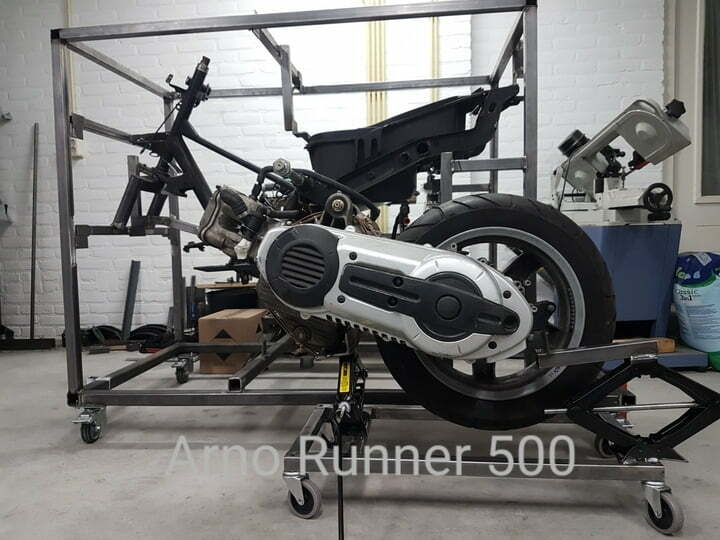 If you read the first post you can see i am converting it to a 500cc. 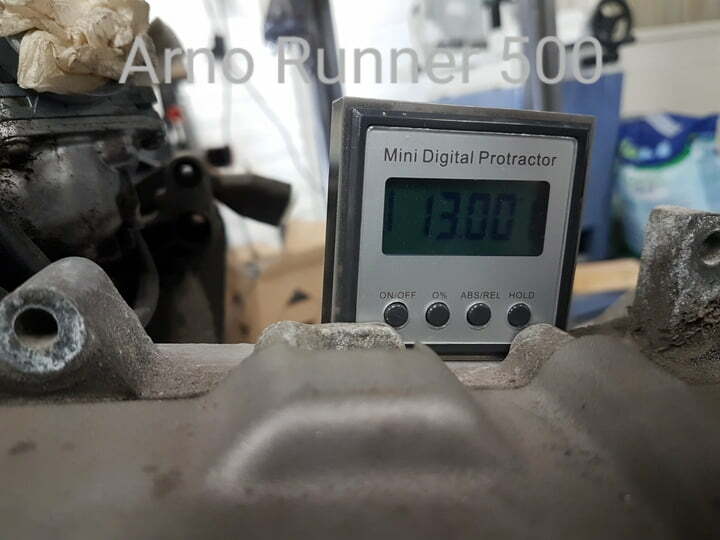 I only installed the original 125cc engine to measure the angle and wheelbase. I did read it but when you started using the 125 for fitment it through me off the scent. 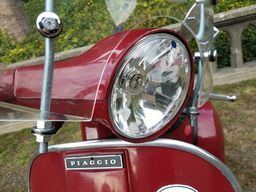 How does fitting the 125 help with the fitment of the much larger 500? I am so jealous... I always want a runner!! Made a rolling dolly, with 2 car jacks. 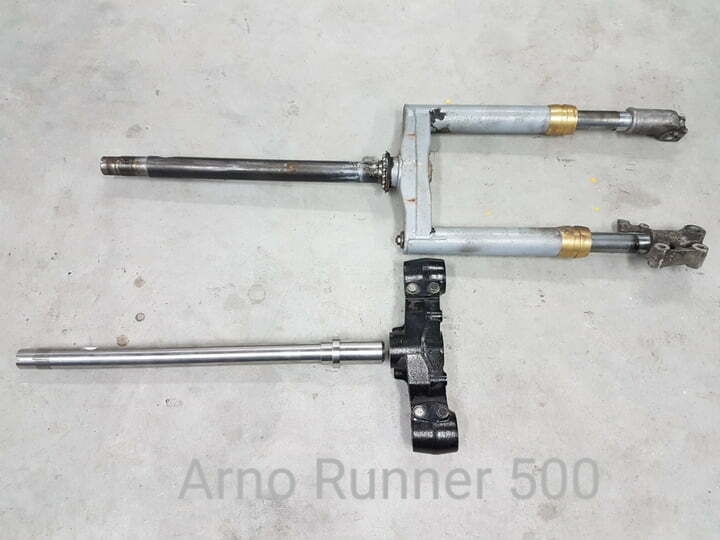 With this i can move the engine below the frame. And adjust the engine hight and angle. 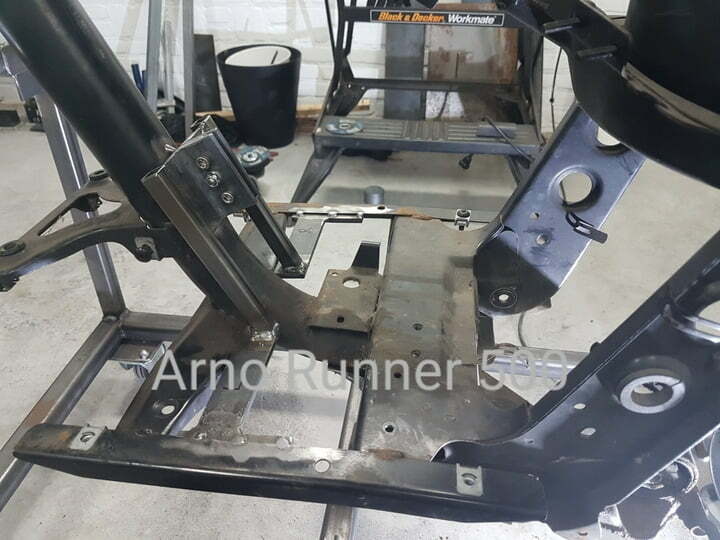 Took the Runner frame apart today. Now you can clearly see why i made all these brackets. 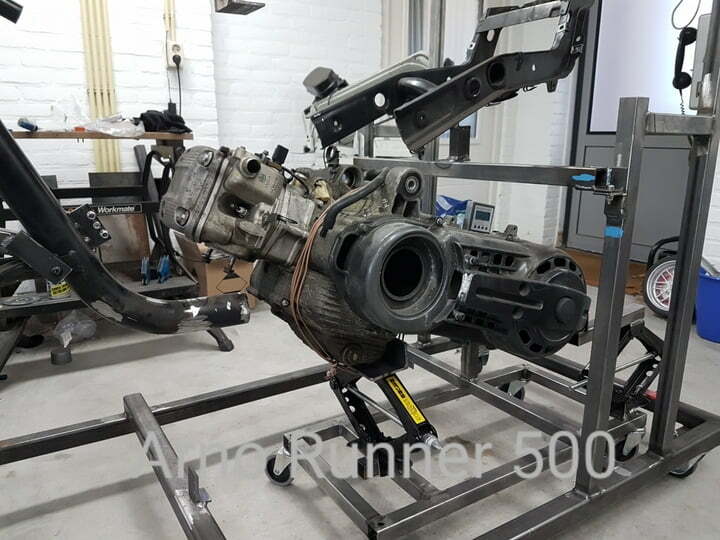 At this moment it looks like the original engine angle and wheelbase is possible. 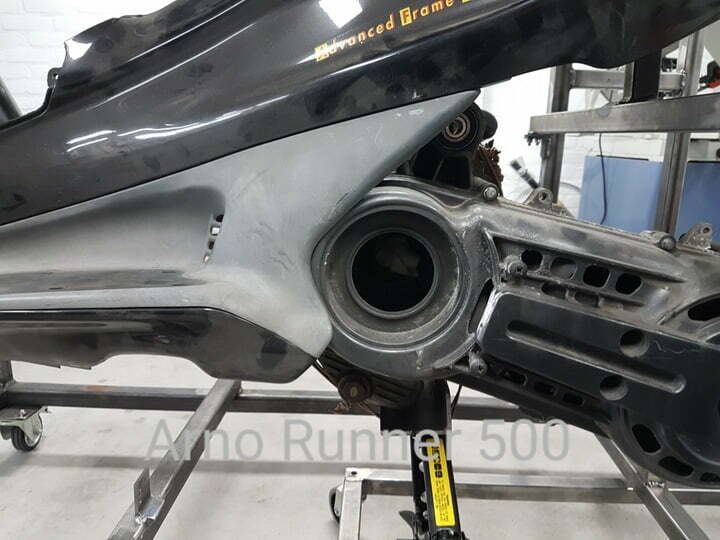 It looks like some of the engine parts need to be modified. 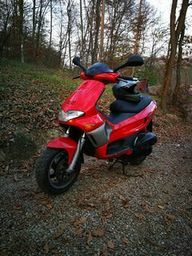 I want to try to keep the fairings in the original shape. This is a amazing project with great pictures. Keep posting pictures and info Please. I really like your staging rig! Did you fabricate it all yourself? Quite professional angel, reminds me of 240z build by b is for build. 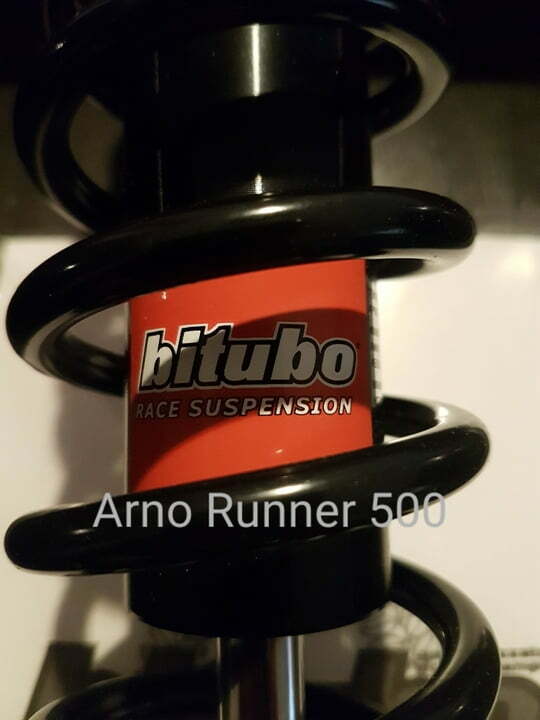 Keeping same wheelbase will be difficult, what is difference in engine lengths(original BB and master)? 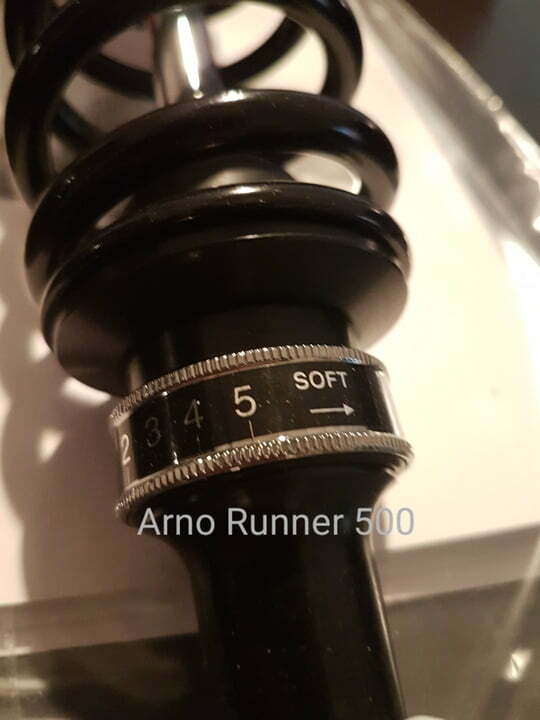 What about shocks, master has 2...Do you plan to use original shock mounts positions on frame or move them? 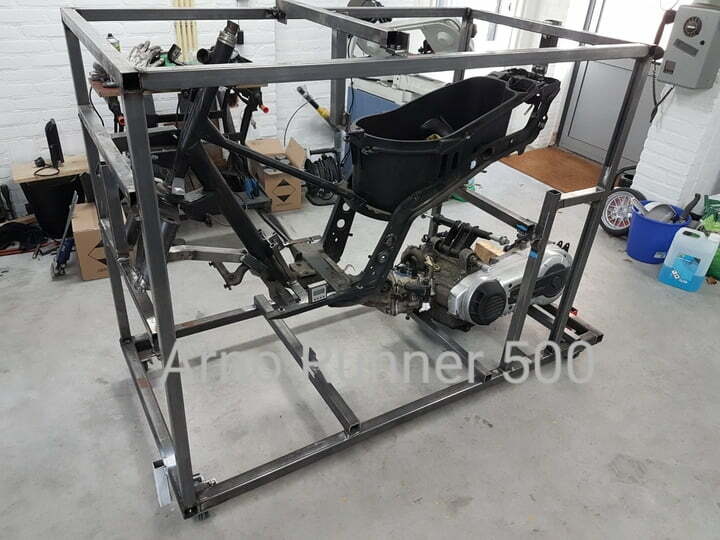 Old vx/vxr frames already have 2 mounts standard but geometry is not the same like on fx/fxr/sp (tested ). With engine in this position cooling lines seems like impossible mission. 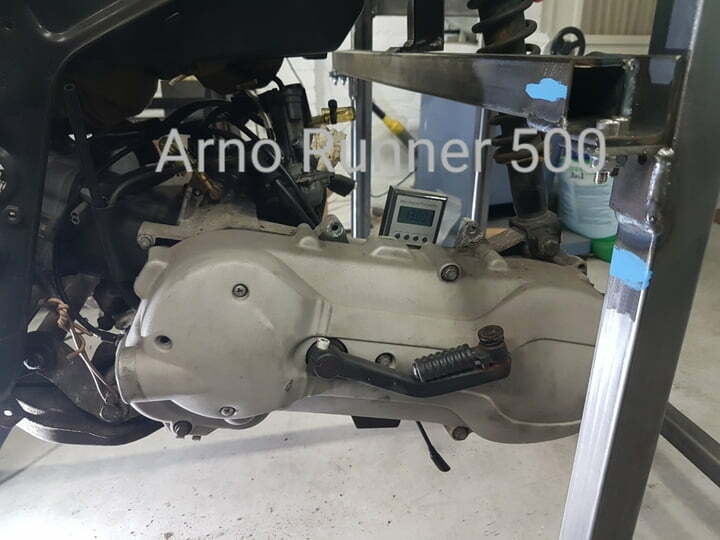 Fuel tank can be problem too, comes quite close to original engine. Master engine is injection? Fuel pump in tank or? 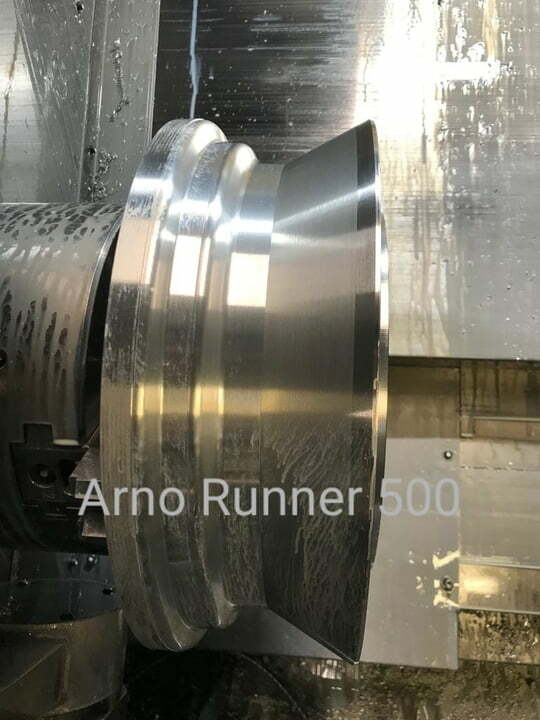 Good luck and cant wait to se progress! 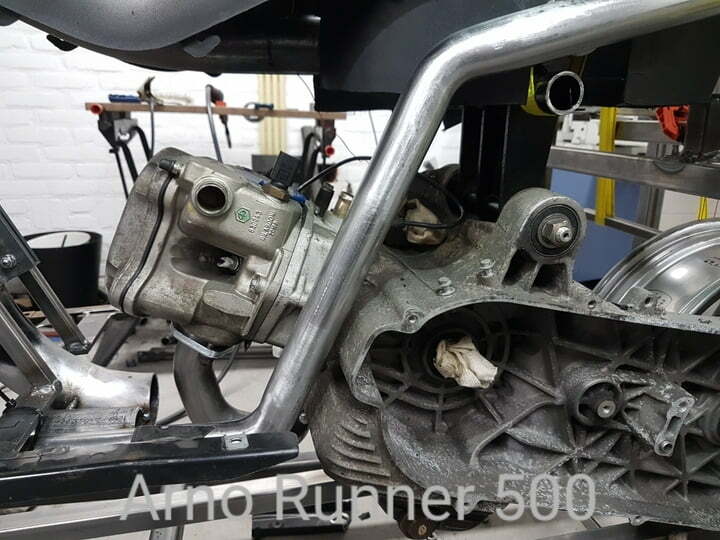 The waterpump will be removed and replaced with a electrical pump. 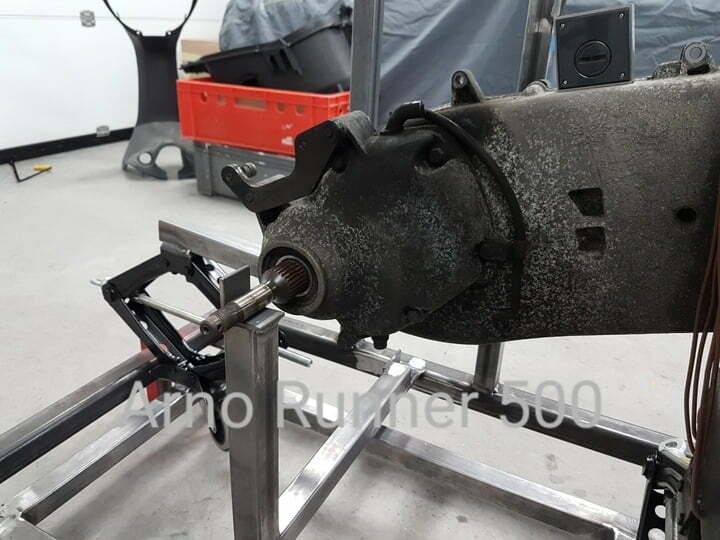 Rear suspension will be double from a fuoco 500. Variator cooling will be electric aswel. New radiator has to be made. Cooling lines on the cilinderhead will be changed. 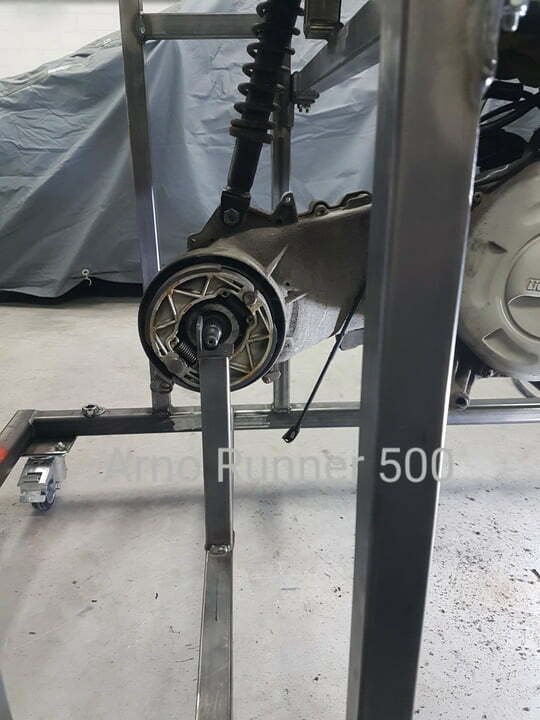 Front master brake cilinder must be modified. Injection system with a stand alone ecu, like KMS. Not a easy quick build. Very ambitious build, but looks to be on track. I like your approach. Should be a very exciting ride. Do they both fit in the same? Sounds like they are very similar, can you please tell us more? Have you decided which you will use? 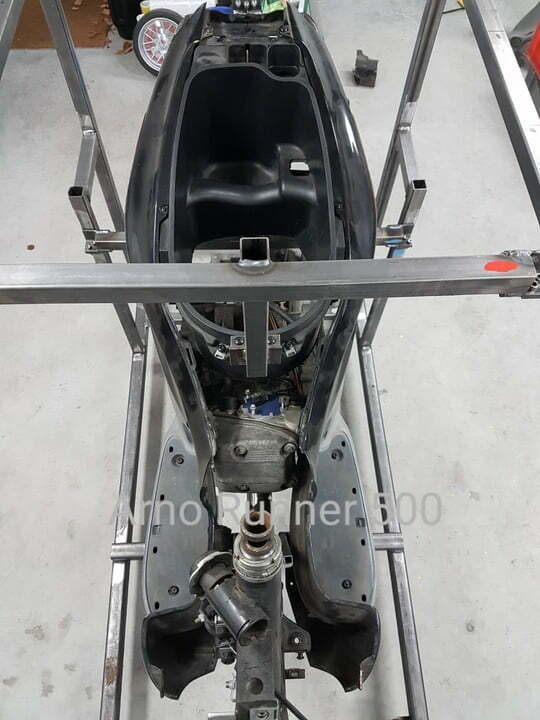 I will use the Fuoco 493cc engine. 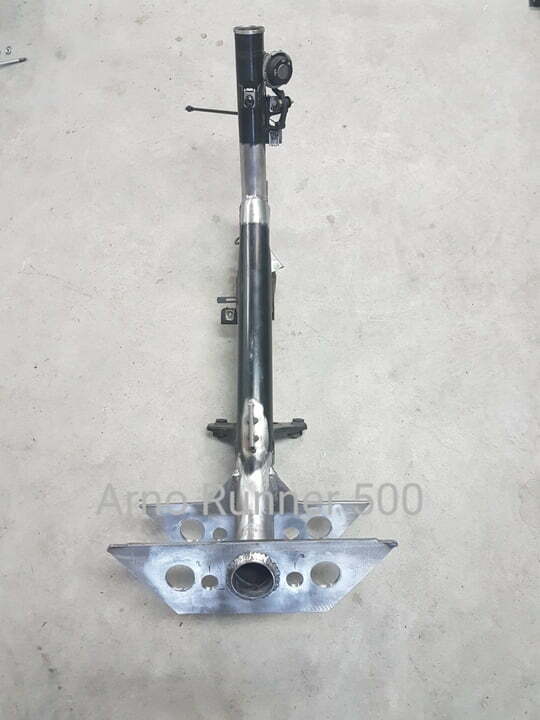 This has the same engine mounting points. 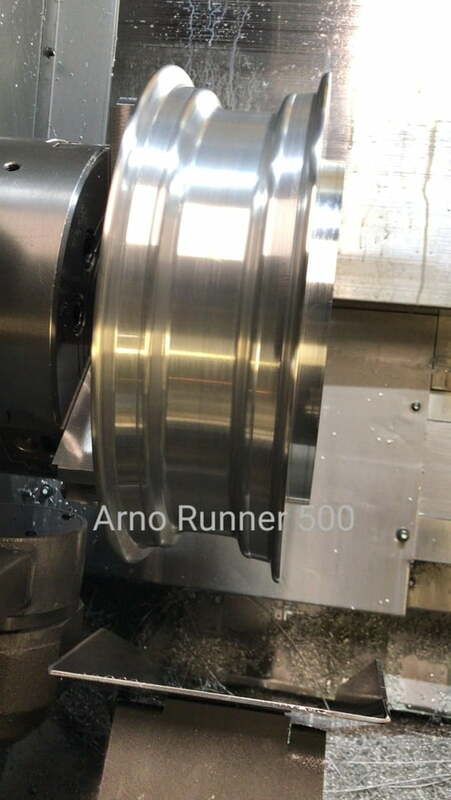 But only the bearings in the lower mounting points are installed. But this can be swapped. 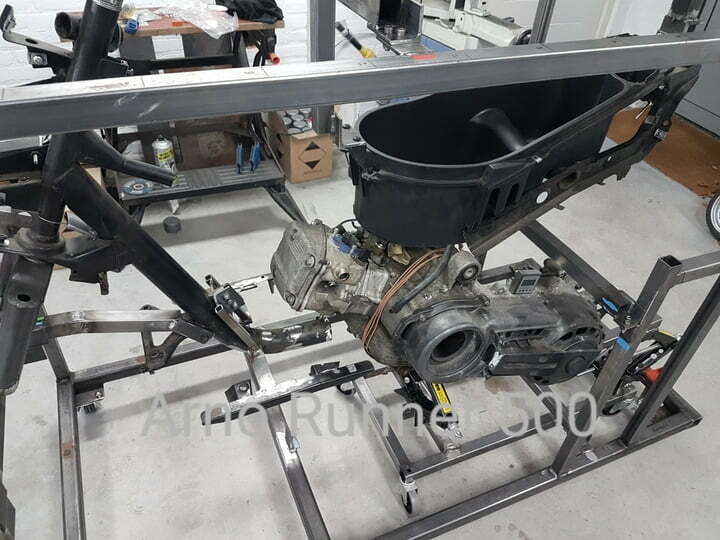 And the Fuoco engine has a center stand on it. 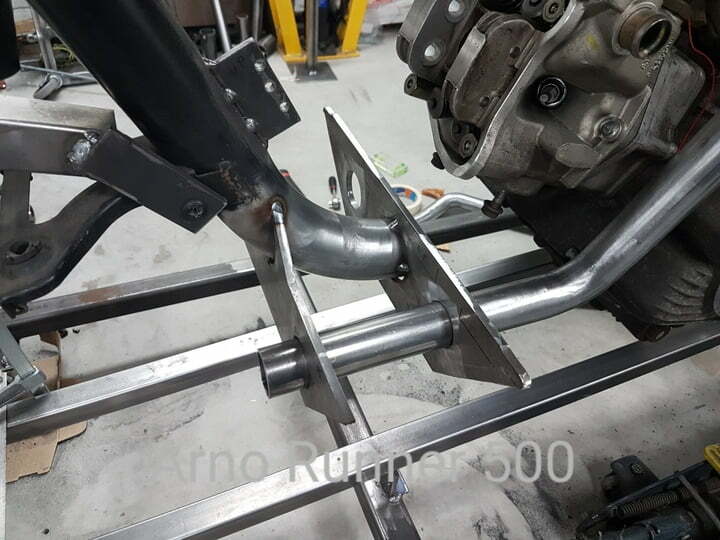 There are mounting points installed on this engine for the center stand. The X9 engine doesnt have this. 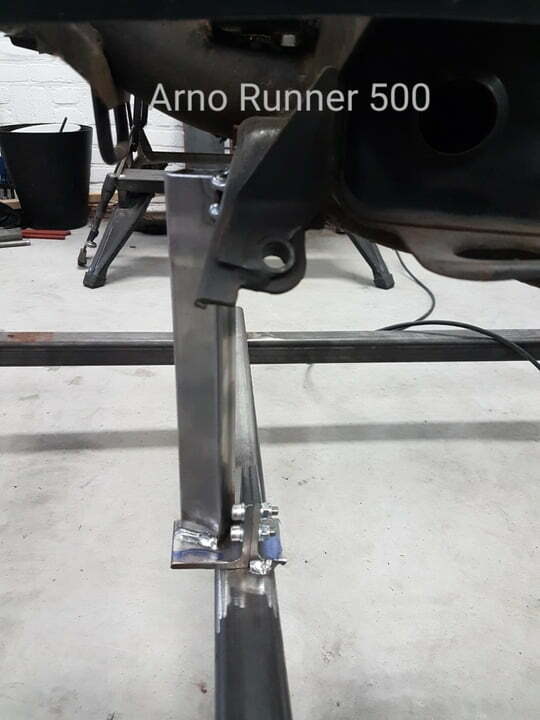 Well done Arnoh, this will keep you busy. 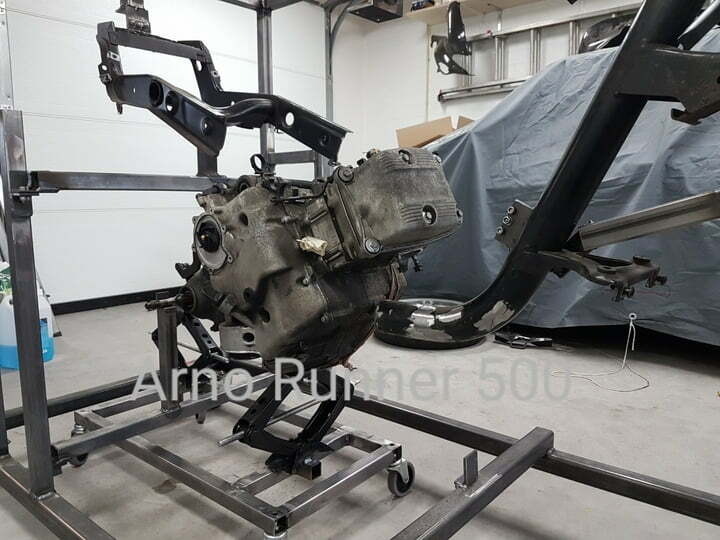 Okay, so the engine is hanging freely in the frame now. 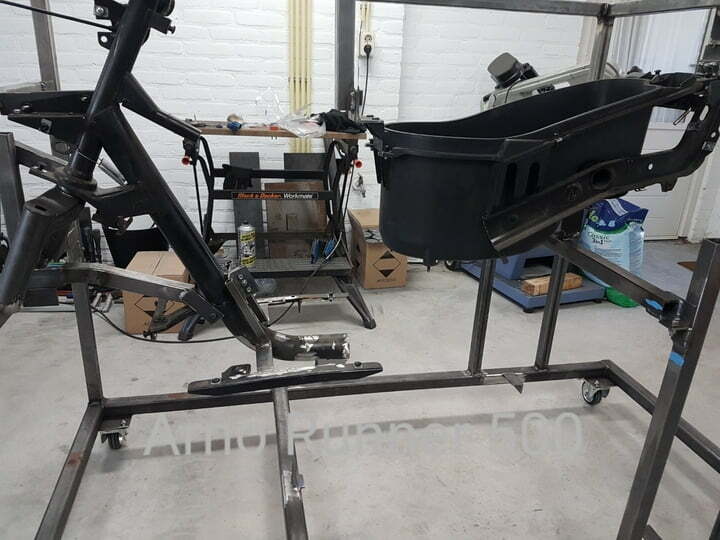 And started with building the new frame tubes. And it al fits perfect. 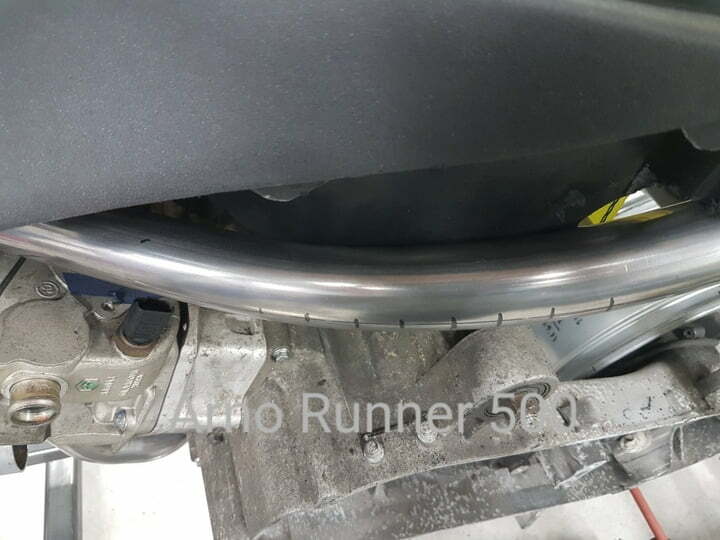 The tubes need some extra work to make them extra strong in the short bends. It is a lot of work, but it can be done. It all fits how i mentioned. 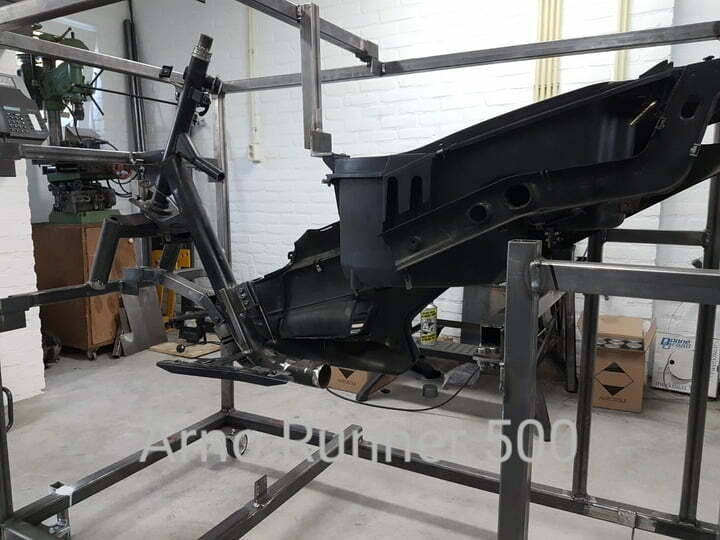 The floor parts can be welded on the ribs later. Very interesting build! 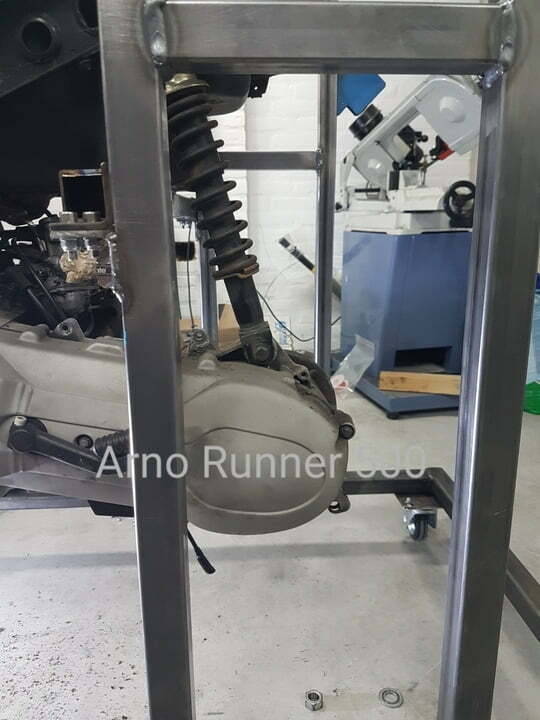 More or less hang engine on air and build scooter around it. Correct, and by this way the engine can be easy moved. And i can still put it on the dolly afterwards and roll it away. You sir, are a wizard! Great job and thanks so much for taking us along. 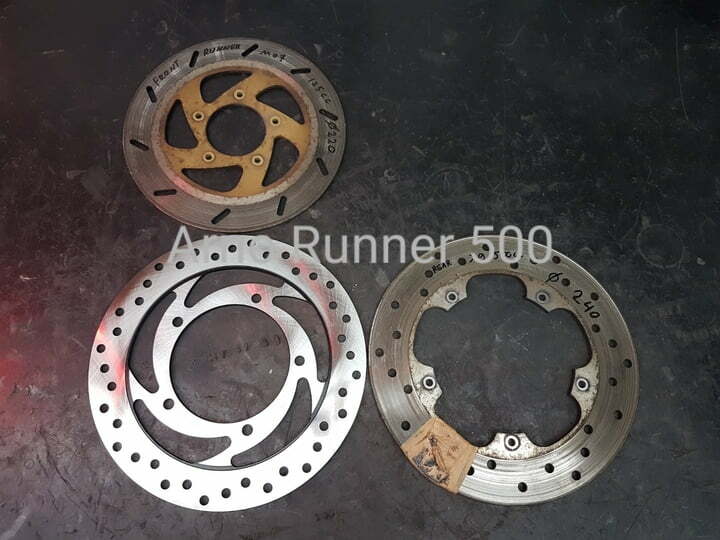 On the upper left, the original Runner 220 front brake disk. On the lower right, the 240 brake disk that i wanted to use in the first time for the front wheel. 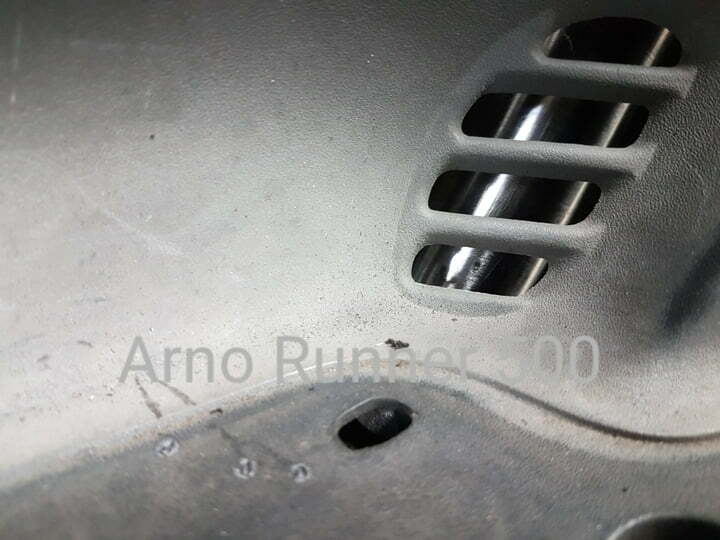 That is the Gilera fuoco 500 rear disk. 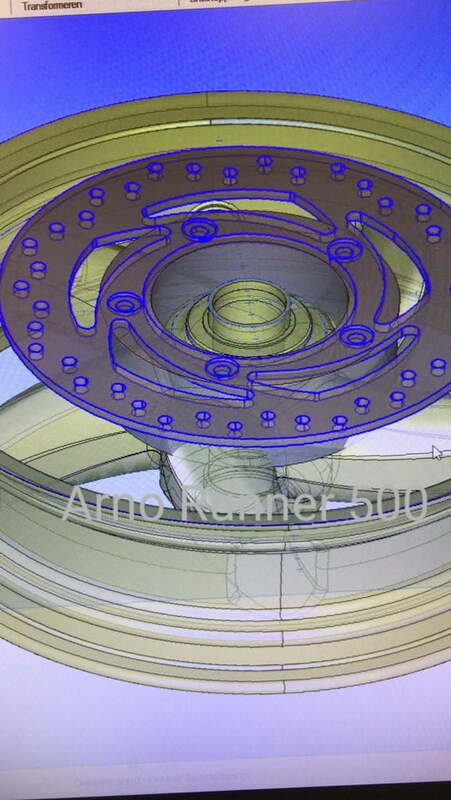 And the disk i am going to use, is the lower left brake disk. 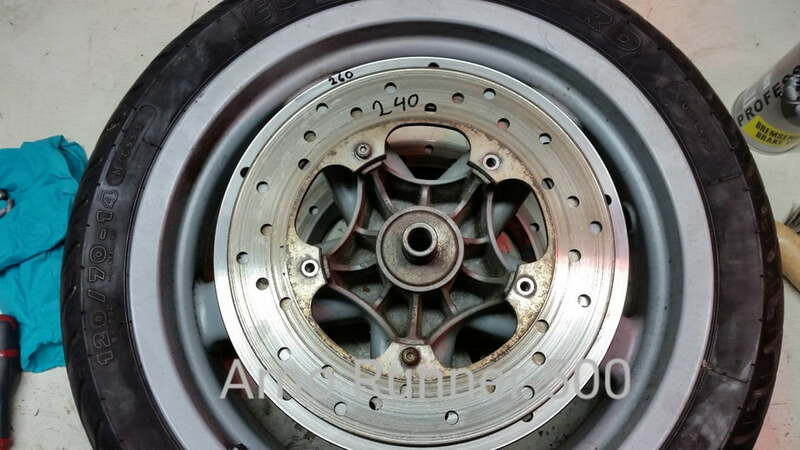 This is a 240mm disk, and it is the rear brake disk from a 2010 Piagio Beverly 300. 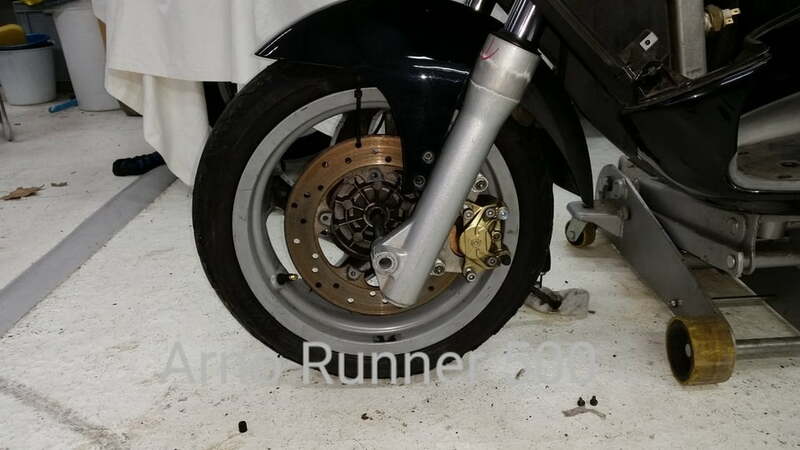 This looks the most like the original front brake disk. 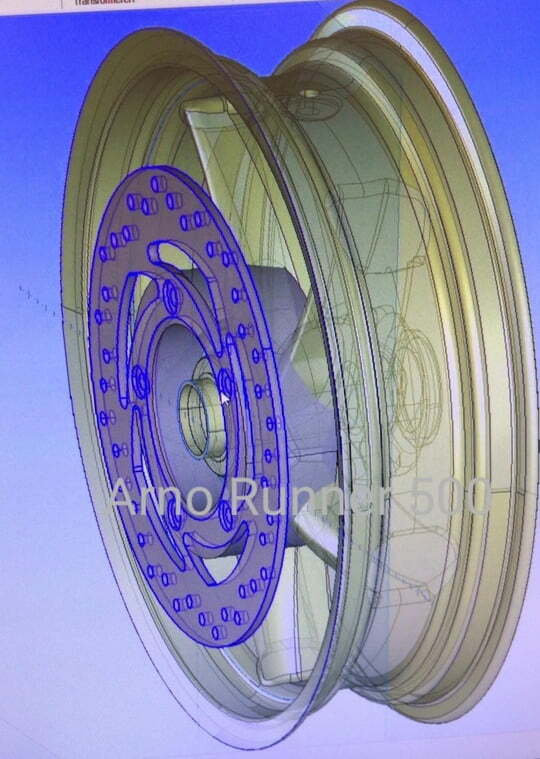 And the latest designs for the new double disk 13 inch front wheel for the Runner. 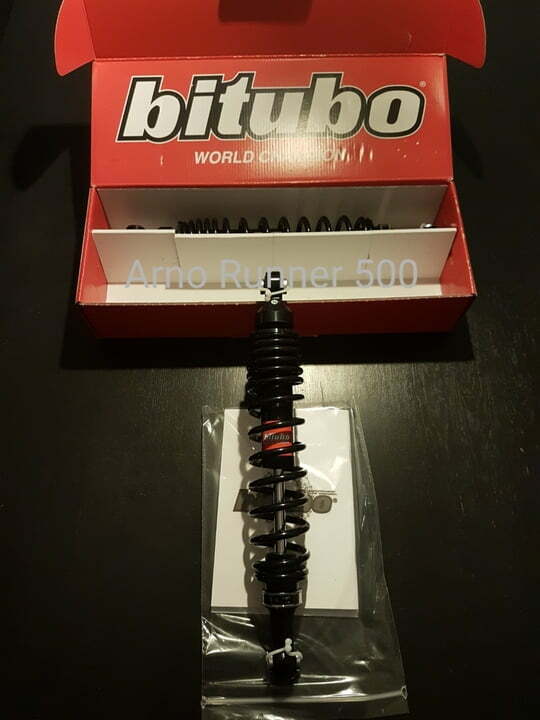 And the new rear adjustable Bitubo shocks arrived. 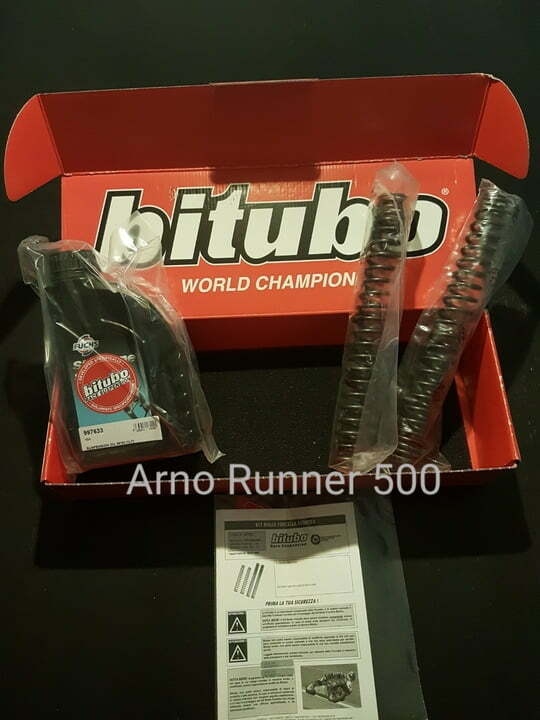 And for the front, the Bitubo springs and oil. 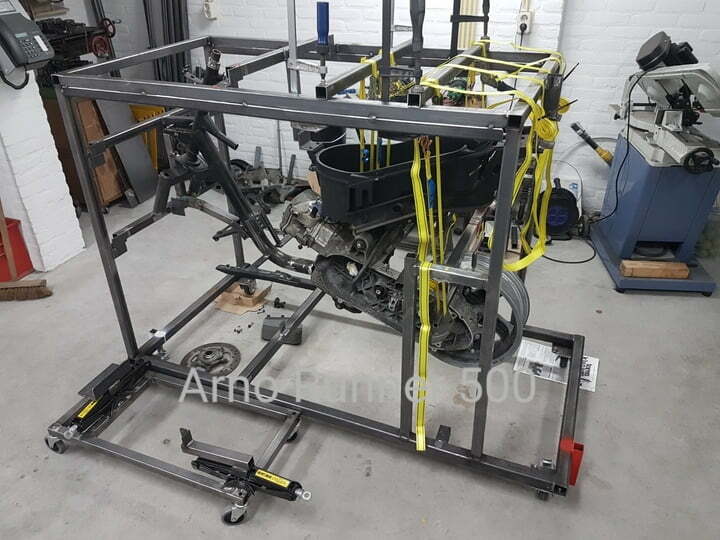 And some pictures of the progres of the front wheel. And started with the right side. Making the bends extra strong. 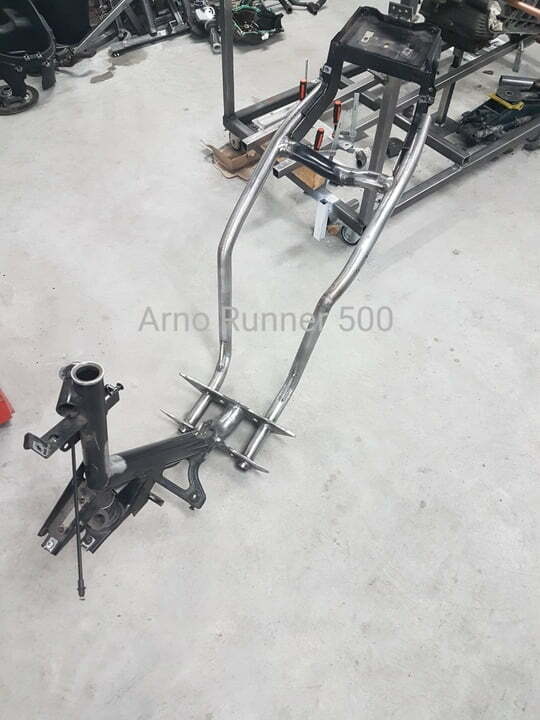 And the new frame is getting together. 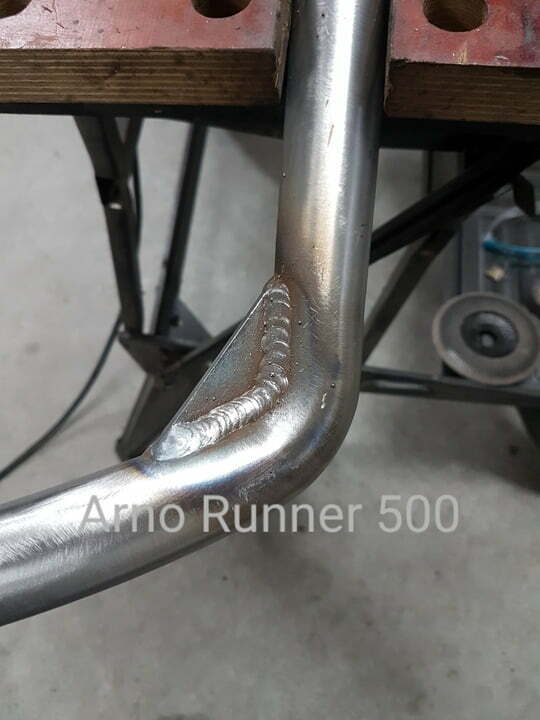 Welded the first tubes today. Its asymmetric and build around the engine. 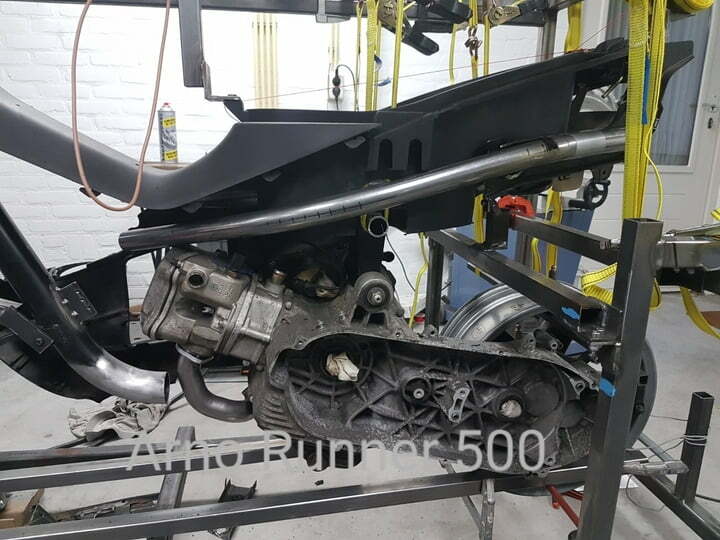 The rear is temporarily, wil modify it later. 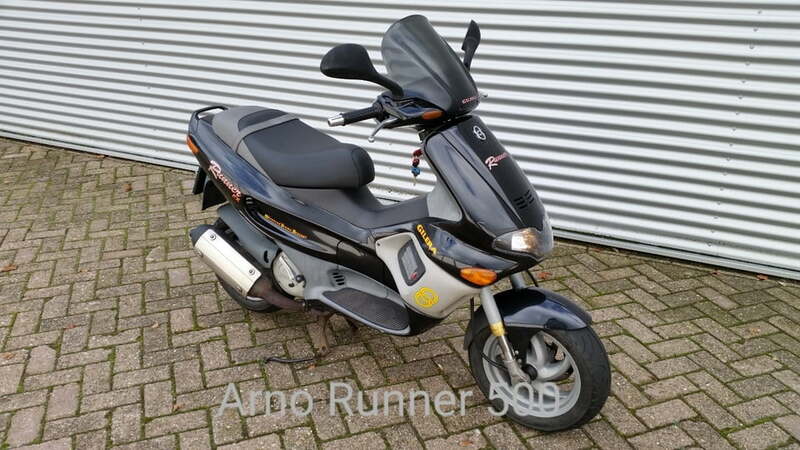 Baught a verry nice Piaggio Beverly cruiser in Germany. Verry low milage, only 3200Km. 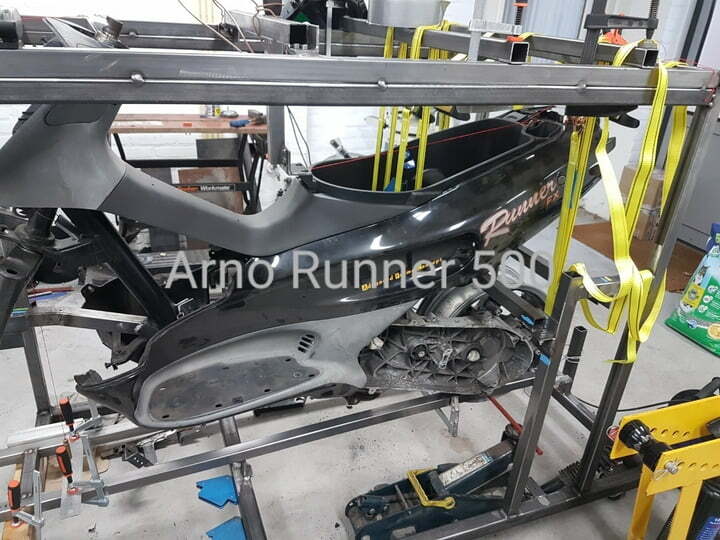 Wil use the engine from this Cruiser (493cc) for the Runner.